Sicilian Tangerine Reed Diffuser: Sicilian tangerine and bergamot are entwined with exotic mango and passionfruit. 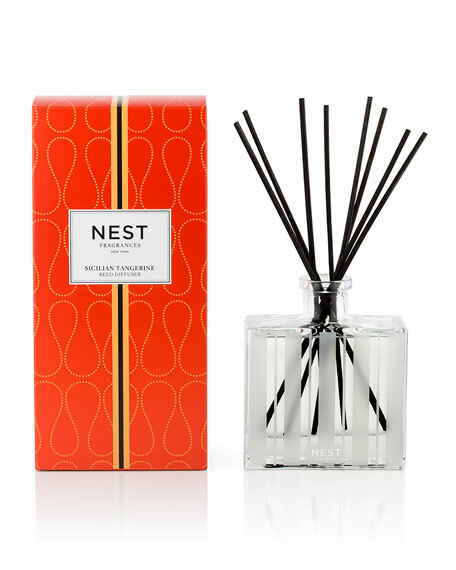 Carefully crafted with the highest quality fragrance oils, NEST Fragrances Reed Diffusers are designed to continuously fill your home with lush, memorable fragrance while adding an element of style to any decor. The premium formula releases fragrance slowly and evenly into the air for approximately 90 days.